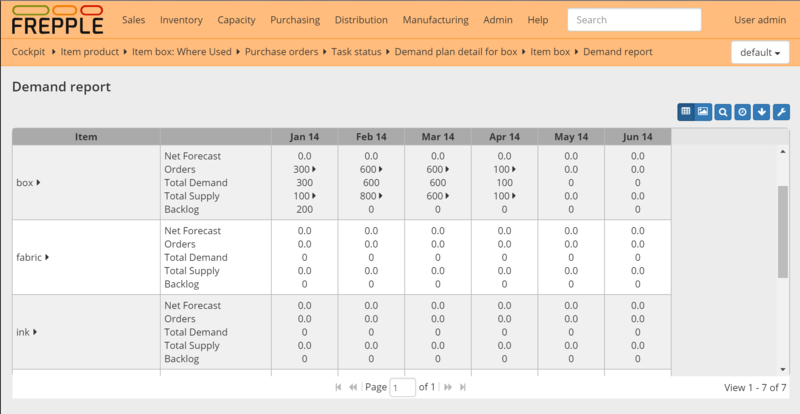 This report shows per item and per time bucket the demand quantity, the supplied quantity and the backlog. If the report is opened for a single item a graph is displayed. Net forecast Amount of net forecast in the time bucket (only in Enterprise edition). 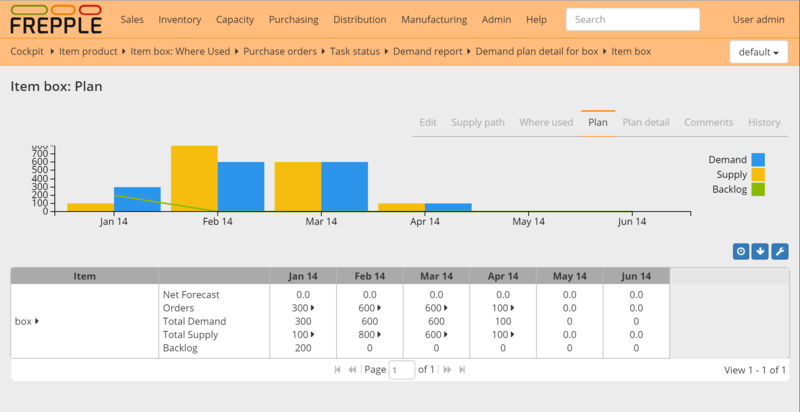 Orders Amount of customer orders (only in Enterprise edition). Total demand Total demand for this item due in the time bucket. Total supply Satisfied deliveries for this item in the time bucket. Backlog Difference between the supply and demand, accumulated across time buckets.